You would be hard pressed to find someone these days who hasn’t heard of the Showtime hit television series, Homeland. The show, now in its second season, created some serious buzz when it debuted last year and that buzz doesn’t appear to be going away any time soon, as viewers continue to tune in week after week to get their fill of CIA action and shocking plot twists. One avid viewer—Bryant Frazer, editor of StudioDaily—recently spoke with the editor of this popular thriller, Jordan Goldberg, to find out just what goes on behind the scenes to make this show so good. "It's one of those shows where, when the script comes out, work stops because everyone just wants to take 45 minutes and read the new script." "[Executive producers] Alex Gansa and Howard Gordon…hired the other writers…and very quickly the room came to the conclusion that the show wouldn't be able to stretch out 'is he or isn't he' for a full season. So they shifted to 'will he or won't he?' And that's how the show keeps you hooked for all 12 episodes." "Lewis is so smart about his performance, and he can play a scene so many different ways. In the scene where he comes home and meets his family for the first time in the airport, he and the director did it a few different ways. They shot a take where he comes in and he's a broken shell of a man who can't make eye contact with anyone. Then there was a take — I called it the Spielberg version — where he comes in and sees his family and he's instantly delighted and happy and crying…And then they did a take right down the middle of those two, where he's damaged but trying to connect to people. We used a combination of those three takes throughout the scene. And it's a testament to Damian that he could make all of those performances really compelling." "There's a great little moment that a lot of people don't remember when Brody meets the vice president at the airport. Right at the very end of the scene, he gives the vice president a really strange look. It's a foreshadowing of everything Brody is back here to do." "I really like using the Avid automation gain tool. I rubberband stuff, adjusting the levels to make it sound great. I play with perspective using sound a lot, which helps tell the story." “I have enormous admiration and respect for our writers, who are constantly painting themselves into corners and then finding ways out of them. I haven't read how it ends yet, but I'm up to episode 11 and it's just f—ing great." We’re psyched that Jordan Goldman is such a fan of Avid. 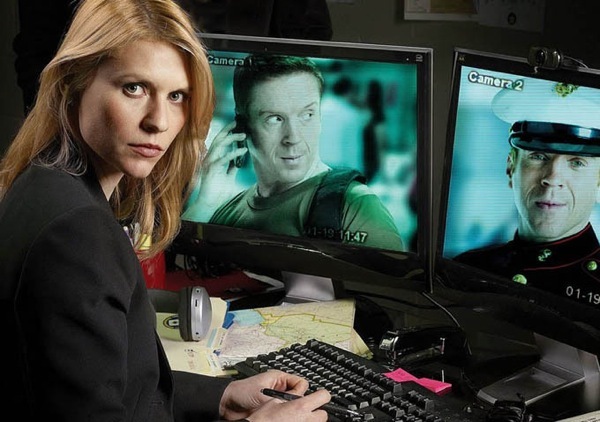 To see Avid’s editing tools in action, check out Homeland on Showtime Sunday nights at 10 p.m. ET. Read the Studio Daily article.